A team of orthopaedic specialists from Narayana Super speciality Hospital in Guwahati successfully performed a left hip replacement surgery on a 25-year-old man. This was the first time that a successful hip replacement surgery case from Shillong was performed by the hospital. The surgery, classified as ‘high risk’, was performed on one Aftab Alam from Shillong, by Dr Samarjit Khanikar, consultant orthopaedic surgeon and technical staff of Narayana Super speciality Hospital. Aftab who runs a grocery shop, after getting treated in Shillong for Tuberculosis in the hip was left with a permanent damage to the ball and socket of the hip. He consulted various centres in Shillong and was diagnosed with vascular necrosis of femoral head with secondary osteoarthitis. It is a condition where the ball of the hip gradually degenerates due to decrease in blood supply there by increasing the intensity of pain day by day. He was then advised to undergo a total hip replacement surgery of his left hip. “Since no proper treatment was provided to the patient, his condition had deteriorated over a period. His movement was restricted, leading to stiffness and severe pain making him dependent,” said Dr Khanikar. The surgery was performed on him in which the ball and socket of the hip is totally replaced with artificial prosthesis. Dr. Khanikar added, “We are happy to have successfully replaced his entire hip and wish him a healthy life”. 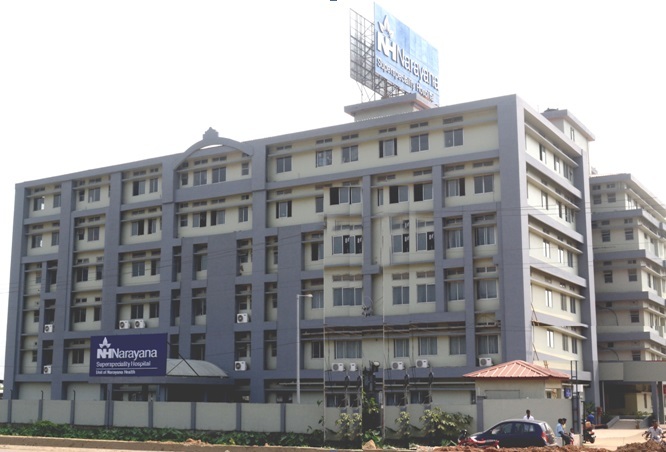 Narayana Super speciality Hospital in Guwahati has been offering both hip and knee replacement surgeries in the region with quality care and treatment at the most affordable rates.